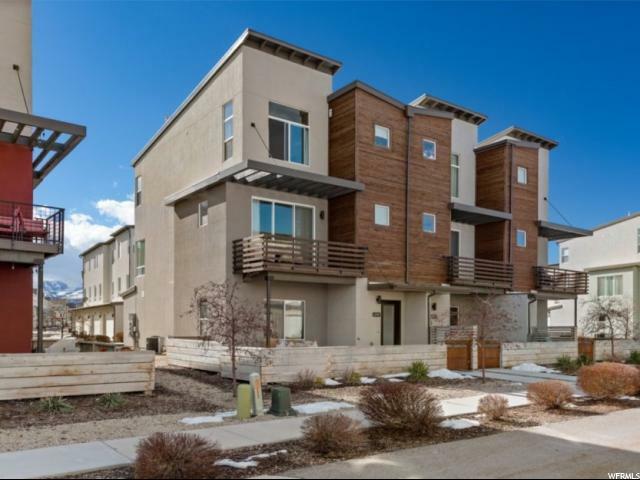 All HERRIMAN TOWNE CENT homes currently listed for sale in Herriman as of 04/18/2019 are shown below. You can change the search criteria at any time by pressing the 'Change Search' button below.
" JUST REDUCED $10,000 ON MARCH 1ST! You've got to see this town home it's gorgeous and upgraded. Full Quartz in the kitchen and master bath; huge pantry. All stainless appliances and hardwood flooring throughout the kitchen. Amazing views from this exact location and you'll be able to take it all in from the master bedroom. Skybell doorbell, wired for smart technology with usb ports in kitchen, high ceilings, end unit with more large windows, sliding glass door, track system in garage, water softener, dual shower heads (rainfall) in master bathroom. Beautiful raised cabinets with extra counter space (upgrade). Room for a 4th large bedroom or office w/full bathroom plumbed. Unbeatable location; close to everything! You will not be disappointed!! "